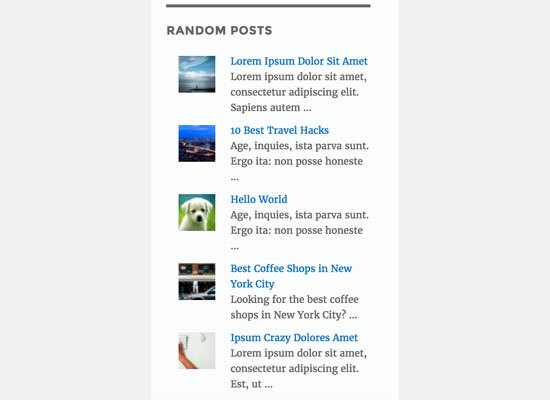 First thing you need to do is install and activate the Advanced Random Posts Widget plugin. You need to add this widget to a sidebar. Now, you will be able to see the widget settings. The default options will work for most websites, you can just click on the save button.